← Peek inside actual FH rooms! Every year, a committee at UPenn chooses the theme for the academic school year – a sort of rallying point for events, guest speakers, and activities throughout both semesters. 2013-2014 is The Year of Sound – an opportunity to explore sound and the way it affects and shapes our lives and our environments. Your first encounter as Freshmen with The Year of Sound will be through the Penn Reading Project. 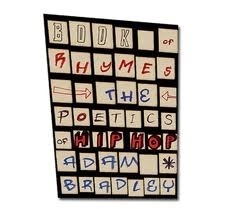 You’ll read by The Book of Rhymes: The Poetics of Hip Hop by Adam Bradley over the summer, and then participate in a lively discussion during NSO (on Monday, 8/26, to be exact) with campus leaders and faculty. This entry was posted in Academics, FH Info, Year of Sound and tagged Fisher Hassenfeld, freshman, theme year, UPenn, Year of Sound. Bookmark the permalink.